Find out more about Carolyn Hart and her books on her webpage here. Find all of Carolyn’s books on Amazon here. 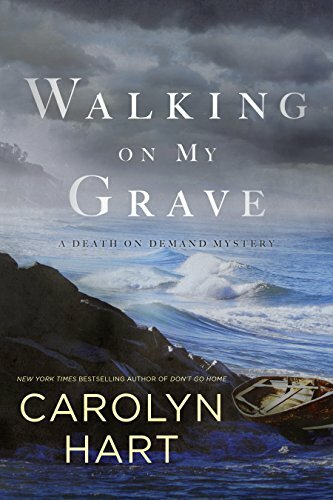 Thanks for the spotlight on “Walking on My Grave” by Carolyn Hart and for calling this book to my attention. Sure sounds like book that I’d love to read. Love this series! So glad to see a new addition and can’t wait to read it. Thanks for letting us know. love this author and this series!! A fabulous Carolyn Hart book. As always, she had me guessing till the end. So glad you featured her! Lovely review.